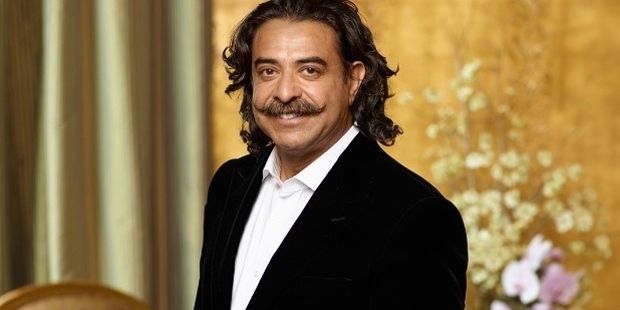 Shahid Khan, an illustrious Pakistani-American businessman, is a manufacturer of automobile parts Flex-N-Gate in Illinois, and the owner of Jacksonville Jaguars of the National Football League. Born on 18 July, 1950, in Lahore, Khan moved to the United States at the age of 16 with dreams in his eyes. He wanted to be an architect. Khan knew that one has to work to turn your dreams into reality, and towards this end, he washed dishes in restaurants at the rate of $1.20 per hour to pay for his expenses. He did his graduation in B.Sc with Industrial Engineering from UIUC College of Engineering in 1971. Khan finally became a US citizen in 1991. Even while Khan was studying at the University of Illinois, he had embarked on his path towards realizing his dreams. His first career stint was with Flex-N-Gate. Soon after graduation, Khan got selected for the post of Engineering Director of the company. He was the pioneer of Bumper Works; this division specialized in making car bumpers for customized pickup trucks and body shop repairs. Ambition together with perseverance is a formidable combination! Khan first endeavored to own an NFL team in 2010. 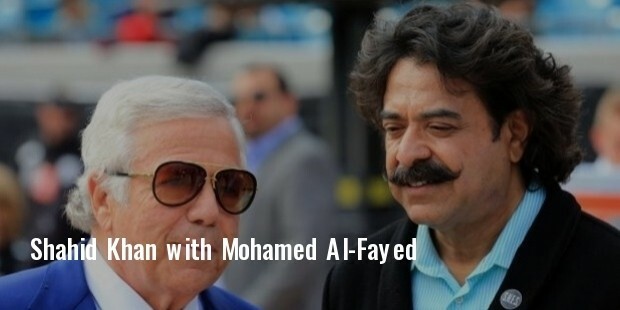 An agreement was entered upon to acquire 60 percent of St. Louis Rams. However, the minority shareholder, Stan Kroenke, put a spoke in the wheel, by exercising a clause in his ownership and the agreement was nullified. Not one to put down his weapons, Khan agreed to purchase the Jacksonville Jaguars from Wayne Weavers, following the approval of NFL in 2011. Finally, the deal materialized in the same year, and the sale was finally completed in 2012. Khan is presently on the board of the NFL Foundation. Khan’s thirst for success was boundless, and in 2013, he once again started negotiations to purchase the London Soccer Club Fulham. The deal was finalized in the same year, but the purchase price was kept confidential. 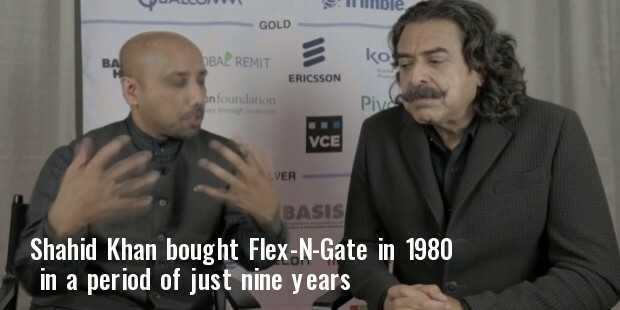 Having bought Flex-N-Gate in 1980, Khan, in a period of just nine years, made his company the only supplier for the entire Toyota line in the United States. In 2012, Forbes magazine featured him on its front cover. Khan symbolises what is known as “the face of the American Dream”. It is worth mentioning here that Khan was the first member of an ethnic minority ever to own an NFL team! 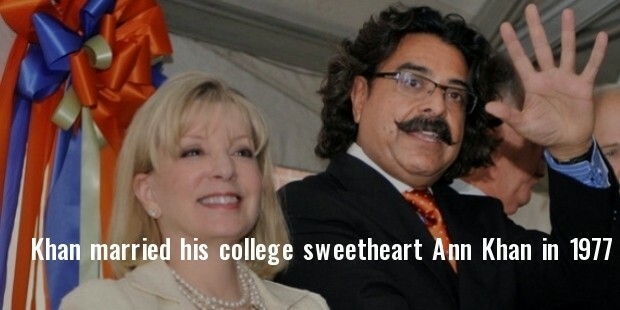 Khan married his college sweetheart Ann Khan in 1977. 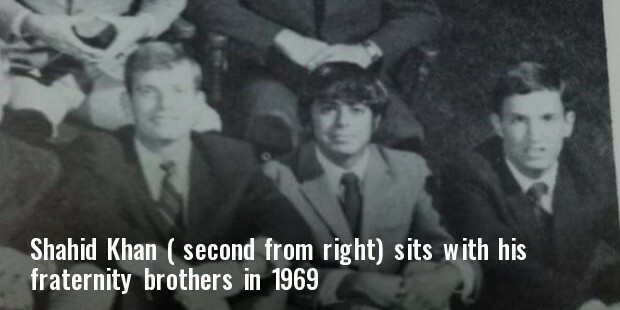 They had met for the first time at the college bar and had forged an everlasting bond. Married for 31 long happy years, the dashing couple is blessed with two children, Tony and Shanna. In 2011, the title of “Lincoln Laureate” was bestowed on him by the Lincoln Academy of Illinois for his philanthropic work in the state.